Yahoo! Merchant Solutions has an elite group of developers called "Authorized Partners". Colorado Web Solutions is proud to be a founding member of this elite group of design firms. Colorado Web Solutions is proud to be one of the elite Authorized Yahoo! Store Design Firms. Qualfying for this status is highly coveted and not to be taken lightly. Colorado Web Solutions is in constant contact with the Yahoo! Merchant Solutions teams acting as a liason between our clients as a whole and the Yahoo! Store platform. We express common requests, enhancements and gripes to the Yahoo! Store team on a regular basis. Additionally, the entire Colorado Web Solutions management team has spent much time in San Jose on the Yahoo! Campus meeting face to face with the engineers, account reps and sales teams. In return, the Yahoo! Merchant Solutions teams often seek our input on future enhancements and technologies coming in the near future. We frequently Beta Test new Yahoo! Store enhancements and provide valuable feedback for the product that is eventually improved upon and released to the general Yahoo! Store community. If you have any hesitation about working with Colorado Web Solutions, call the source directly; Yahoo! Any member of the Yahoo! Merchant Solutions will know exatly who Colorado Web Solutions is, what we are known for and how personally and professionally we treat every client. Add Hops, Yahoo! 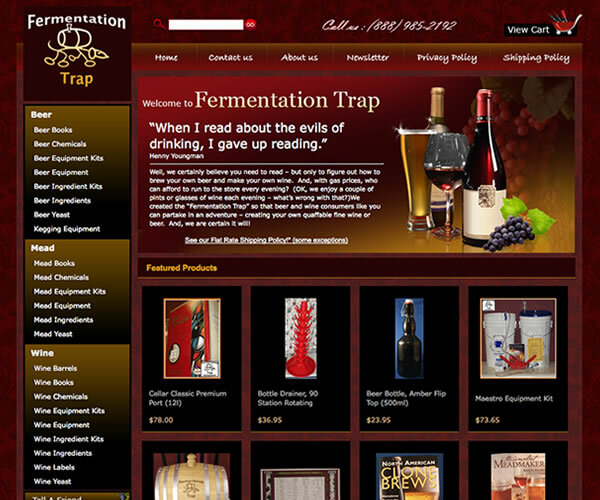 Store, Colorado Web Solutions, Let it Ferment and Pour. Imagine having someone who can follow your customers around and suggest other items they might like based on what other shoppers thought? A fresh look at the traditional portfolio.